Time and time again, we are told that college will be the “best four years” of our lives. It is the only time that we will be able to live and learn with those both so alike and so different from ourselves in an environment that is bent on feeding us opportunity. The University of Miami provides many opportunities for students to expand their horizons outside of the classroom. 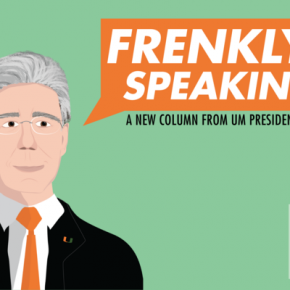 While a new stamp of cultural finesse inevitably accompanies a college education, UM’s incredible diversity has long been a unique selling point. Whether it be learning bachata with SalsaCraze or dancing through the night at the Indian Students Association’s Garba festival, students can easily increase their understanding of other cultures. The intellectual climate of a college campus enables a variety of discussion forums and speaker events that may be scarce after graduation. 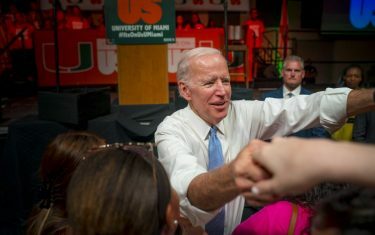 Only here would students be able to discuss public health over dinner with a policymaker like President Donna E. Shalala or sit on the Green to discuss tribal issues with the African Students Union. Using these platforms as an opportunity to learn about others’ experiences, and problems can invaluably enrich a student’s education. Culture is celebrated at UM not only in the sense of cultural exchange, but also in the general arts and entertainment scene. 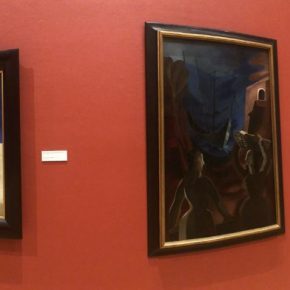 Organizations like the Cosford Cinematic Arts Commission, QuantUM Entertainment and the Ring Theatre are incredible resources for students to affordably enjoy film and the performing arts, not to mention the celebration of visual and literary art through the Lowe Art Museum and the CAS Gallery. These on-campus opportunities comprise only the tip of the iceberg of local cultural activities. Students who confine themselves to traditional college pastimes – be it studying in Richter or partying at frat row – can easily take for granted the fact that their backyard hosts prominent cultural events that attract talent from across the world. A walk through Wynwood and a visit to Art Basel are trademark souvenirs that not many other students around the country can cherish. However, the “best four years” is still just that: four years. Placing too much pressure on ourselves to fulfill that ideal can be counterproductive. As those of us here in the newsroom know well, focusing on a passion can mean passing over certain experiences. Yet, in the long term, looking back at life after our brief time in college, those sacrifices may well be worth it. So even if, upon graduation, our college memories appear a bit lackluster compared to the picturesque college experience, we should find peace with that. The “best four years” claim is more a self-fulfilling prophecy than a fact, so who’s to say that those years don’t still lie ahead of us?